“The Educated Differ From The Uneducated As Much As The Living Differ From The Dead”. This is a famous saying by Aristotle. There is a time and place for everything in life. Doesn’t a person need to be educated at the right time in life? Here even if a person does not have the necessary funds should his or her college education be denied? No definitely not. Won’t Knowledge bring you an opportunity to make a difference? This is where an education loan plays the part. In order to understand educational loans and the various options available to us for taking such kinds of loans please look up the website IndianMoney.com. Nowadays costs of all goods are rising. Education is also very expensive. 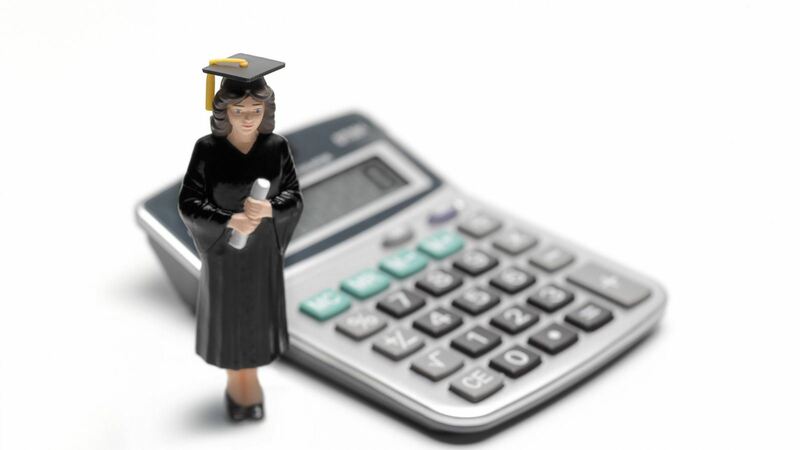 In order to fund higher education parents might take an educational loan for their children. These are available in a number of banks at very reasonable interest rates. Student loans were introduced in the Budget of 2004 and grew about 35% annually between 2004 up to 2012. So What Is Covered In An Education Loan? Here this is taken to cover the tuition fees, hostel fees, mess fees and examination fees in a college. Books, Laptops and other equipment, Educational tour needed for the college Education, and Student Insurance. In case of foreign education living expenses may be covered and in some cases even airfare. Any expenses related to project costs, library fees and caution deposits and uniforms and Laboratory fees. Who is eligible to take such loans ? Student should be a citizen of India. Student should be between 16-35 years of age. Student should have completed his previous qualifying examinations. Should have secured at least 60% in the previous qualifying examination (55% for SC/ST candidates). Should have secured admission to a higher education college in a recognized institution either in India or abroad through an entrance test or a merit based selection test or an Aptitude Test. If a person is gainfully employed and resigns or quits his job his case may be considered provided he shows proof in this regard to the sanctioning authority before the loan is disbursed. A Co-applicant is required for full time courses which may be parents, spouse, siblings or a secondary co-applicant such as an in-law, an aunt or a maternal uncle. Which courses are covered for an education loan? Professional courses such as Engineering, Medicine, Agriculture, Law, Veterinary sciences, Dental studies and courses approved by AICTE. Courses like CA, CFA and ICWA. Courses leading to Diploma/Degree approved by UGC, AICTE, AIBMS and ICMR. Teachers training and Nursing courses approved by Central and State Government. Post graduation such as MS, MBA and MCA. Courses conducted by CIMA-London, CPA in USA. In India generally a loan of up to 10 Lakhs is provided for studies done in the country. For Foreign studies the amount sanctioned may be up to 20 Lakhs. In certain cases it might go up to 30 Lakhs. For a loan up to 4 Lakhs there is no collateral. However some banks extend loans up to 7.5 Lakhs without collateral. Collateral security in the form of a third party guarantee for an amount ranging from 4.0-7.5 Lakhs.However in certain exceptional cases the third party guarantee might be waived if the bank is satisfied with the net worth of the parent who would be executing the documents as the joint borrower. For securing a loan of an amount above 7.5 Lakhs the collateral may be a residential property, Bank Fixed Deposit LIC Policy, or an NSC . Moreover a margin of 5% has to be maintained for loans above 4 Lakhs and a margin of 15% for loans taken for studies abroad. SSC, HSC and Graduation Certificates. Institutes admission letter with fee break up. Age proof, signature proof , Identity and residence proof. 2 passport size photos and a PAN card of Parent/Guardian. Income details of the parent. Latest 2 months salary slips and 6 months bank statements of the salaried account. If parents are self employed 6 months bank statements and the last 2 years audited balance sheets. Banks have a base rate for educational loans. The loans would be around 13% for amounts up to 4 Lakhs.It can go as high as 17%. For loans from 4.0 -7.5 Lakhs an interest of up to 13.5% is charged. It can go as high as 18%. For loans above 7.5 Lakhs a range of about 12%.It can go as high as 16%. Certain Non Banking Financial Institutions may have a benchmark lending rate plus a spread based on the risk category. Repayment will commence 1 year after completion of course or 6 months after securing a job whichever is earlier. Studies in India or Abroad (5-7 years) for a loan amount of 10-30 Lakhs. For certain non banking institutions the loan interest repayment will start immediately after the disbursement of the first installment of the loan. These Non Banking Financial Institutions might offer a repayment period up to 10 years. Web enabled billing and services. Never default on that education loan. This will spoil both the borrower and the co-borrower, in this case maybe his parent’s credit ratings. In case the loan amount is greater than 7.5 Lakhs there is a chance of loss of collateral. We have read earlier in this article about the margins which need to be maintained if the education loan sanctioned is above 4 Lakhs. This rule might be relaxed for meritorious student’s .Women might have special concessions as well as people from economically backward regions. Banks usually have a grace period before repayment starts. You might be required to repay the amount a year after completion of the course or 6 months after getting a job. Here you can build a corpus to repay the loan, or prepay the EMI in order to reduce the EMI amounts once the repayment period begins. Here the bank disburses the loan amounts after the student completes each semester. If we can pay simple interest on the principal during these periods if possible the EMI is greatly reduced. Many banks also give an interest concession if the amounts are paid during these periods. Here the loan basically consists of a base rate. We have a spread over and above that of the base rate based on the risk criteria. This translates into a floating rate. Here if we can easily manage our EMI payments then we should create a buffer in order to measure up to future EMI Payments. What Happens If I Do Not Get A Job After Completion Of The Course? In an extreme case if the market is down due to macroeconomic conditions out of the control of the student such as that which occurred in September 2008 , the USA Subprime mortgage crisis the repayment period might be extended to 10 years from the 7 year period for amounts up to 7.5 Lakhs. This might also be for a period of 15 years for a loan amount above 7.5 Lakhs. The Government will guarantee 75% of the loan amount in case a student defaults. This is up to a loan amount of 7.5 Lakhs mainly where there is no third party guarantee. A rating system for colleges is being set up by banks which mainly depends on placement and reputation. Banks might also have the salary records of the students placed in order to make better decisions while lending of the loans. The loans of students from reputed institutions like IIM or an IIT might be processed more easily than say an unheard or an unrecognized college. This is a decision which the individual has to make. Here if the EMI burdens are high it is always better to prepay the loan. Here most banks do not charge pre-payment penalty unless the amount is borrowed from another bank to prepay the education loan amount. However some banks charge 5 % of the outstanding principal amount. Here I would like to remind my readers of the famous saying “When You Know Better You Do Better”. Hence it is very important to take that educational loan for a bright and secure future. 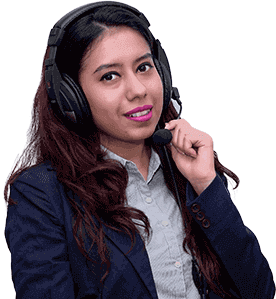 I would like to remind all of you that the team of Financial Planners at IndianMoney.com are always there for you to plan your Educational Loan needs in a most effective and efficient manner. You can explore this unique Free Advisory Service just by giving a missed call on 0226181611.